When a photographer snapped a photo of Emma Carmichael '10 at Commencement in May, Emma didn't realize that she was about to become a stock image of "an unemployed generation." 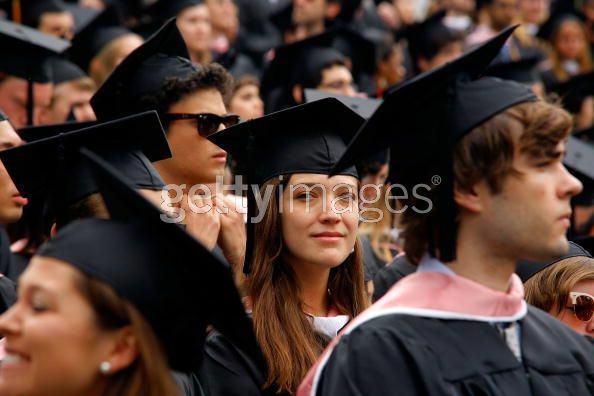 It turns out that the photo made its way to Getty Images, where it was soon licensed to news companies, often for articles about how recent college graduates are unemployed. "My friends declared me The Face of An Unemployed Generation. I received emails with links embedded, a quick note attached: “Hey Emma, you’re famous! Hired yet?” It was fine; it was funny. My father tracked down the photographer who took it, the springy guy, and talked him into mailing us a few copies without the expensive Getty costs. My grandmothers were thrilled." 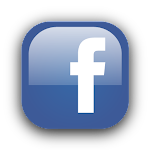 Check out Emma's full post here. 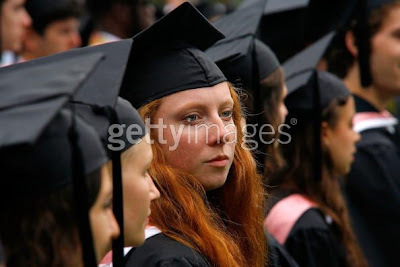 Getty has possession of a few other images of Vassar 2010ers as well. Perhaps we can expect these to show up on the news too. Update: A reader let us know that the second image was featured on Jezebel, a popular feminist blog. 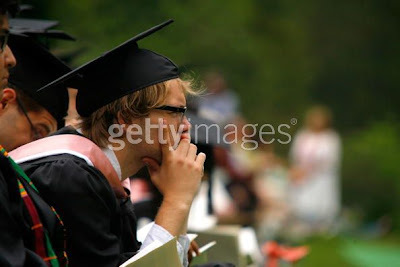 The image is accompanied only by the title "Cap and Grade" and the description, "Students attend the Vassar College 2010 commencement at Vassar College on May 23, 2010 in Poughkeepsie, New York." The Jezebel reader comments are mostly from Vassar alumni congratulating the 2010 class. We've also found out that the photographer is Andy Kropa, who has recently photographed things like Will.I.Am DJing an event and the cast of The Expendables at the New York Stock Exchange. 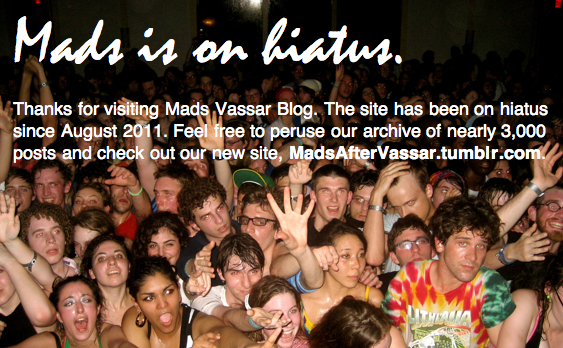 He keeps a detailed blog, but didn't post about his work for Vassar. Images, of course, via Getty. Right image via kropa.net. Is this the same Emma that's now the managing editor of Gawker? She's come a long way.